Update: Florida State Attorney Angela Corey has announced that 2nd degree murder charges have been filed against George Zimmerman for the shooting death of Trayvon Martin. Corey says that charges are not being filed due to public pressure or petition, referring to a petition that garnered over 2 million signatures calling for the arrest of Zimmerman. The charge of 2nd degree murder can include a sentence of up to life imprisonment. Regardless of your position on this curious case, there is no doubt the case will be a barnburner. Watching with great interest, the curious case of Trayvon Martin has become a national phenomenon. No doubt, the death of any teenager is a heartbreaking tragedy. We are being subjected to an incredible amount of ‘spin’ by thousands of individuals, organizations, and the media in an effort to determine the guilt or innocence of George Zimmerman, the self-confessed shooter of Trayvon Martin. By now, everyone has heard the story. George Zimmerman calls 911 to report what he suggests is a suspicious black male walking in his neighborhood. During his 911 call, he admits to following the black male, to which the operator says “we don’t need you to do that”. This may be, for me, the only fact that we know for sure. Memories fade, witnesses have differing accounts, and the victim is not here to tell his part of the story. Why did George Zimmerman, after calling 911, get out of his vehicle to follow the ‘suspicious’ black male on foot? It seems to be the biggest mistake of Zimmerman’s life. What we don’t know is what really happened between the 911 call and what followed. Screams for help, numerous 911 calls from neighbors hearing a scuffle, a single gunshot, a dead teenager, a police chief steps aside, the Feds get involved, and a surmounting civil rights cry goes out by thousands of individuals protesting that the shooter has not yet been arrested. It’s been more than a month since the shooting. People have questions. I have a question, or two myself. Where were all the protesters when other young black males were being murdered on the streets of America? Are those protesting aware of the real statistics surrounding murder and race? According to the FBI Uniform Crime Reports, in 2010 there were 12,996 murder victims in the United States: 6,470 african-american, 6,043 caucasian, 331 ‘other’, and 152 ‘unknown race’. Furthermore, the relationship between the victim and the perpetrator is eye-opening. The FBI Uniform Crime Report’s breakdown of relationships indicates that acquaintances top the list, with family members coming in second, friends, and finally strangers very last. Perhaps this is why the FBI Uniform Crime Report’s breakdown indicating the race of the offender vs. the race of the victim indicates that white on white crime and black on black crime is the rule vs. the exception. Furthermore, male on male crime and female on female crime appears to be prevalent. By no means, does this diminish the current dilemma of the shooting death of Trayvon Martin. It simply begs the question of the level of violence we are currently experiencing across the country, as well as the fact that it is more common for murders to be committed in ‘known’ circles than by offenders who do not know their victims. It proves the fact that the curious case of Trayvon Martin is an exception to the rule. Amazing, isn’t it? You would think, by the media attention and the cries of those who are claiming that this is a prevalent problem (i.e. white on black murders), when in fact it is the exception. I am dismayed anytime people jump on a bandwagon without all of the facts. It’s important that we do some extensive research in order to make an informed decision. It just doesn’t seem right to me when the lines are blurred by those who go off half-cocked making statements they can’t back up with the facts. 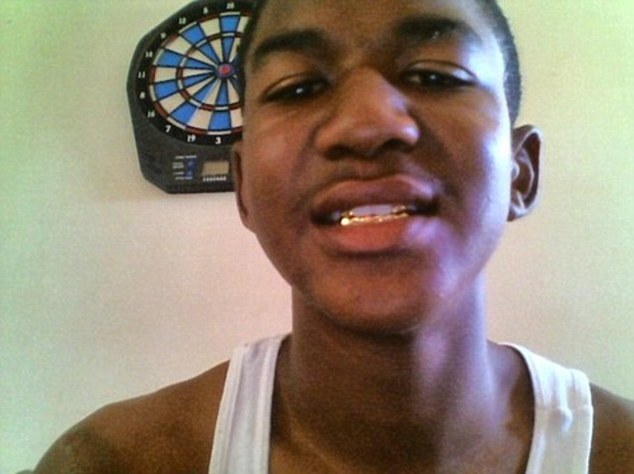 The curious case of Trayvon Martin will bring out the best and the worst of people. Those who have a personal axe to grind will take the untimely death of this young man and use it for their own personal gain. A lot of missteps have taken place in the last few weeks. Perhaps a more detailed investigation should have taken place from the onset; hopefully that will be done now and law enforcement will do their best to find the truth. Gun advocates and pessimists may use this opportunity to take a stronger stand for or against the ownership and use of firearms. More importantly, we must address the issue that has come to the forefront in the curious case of Trayvon Martin: Ignorance. Ignorance has reared its ugly head through the actions and words of many. They have expressed their true self at the expense of Trayvon Martin and George Zimmerman. Spike Lee re-twittered someone’s home address causing an elderly couple to be forced out of their home because they were ‘fingered’ as the parents of George Zimmerman. They were not the parents of ‘the’ George Zimmerman who pulled the trigger. I suppose Spike Lee should take a dose of his own medicine and learn how to ‘Do the Right Thing’. Perhaps we all should?